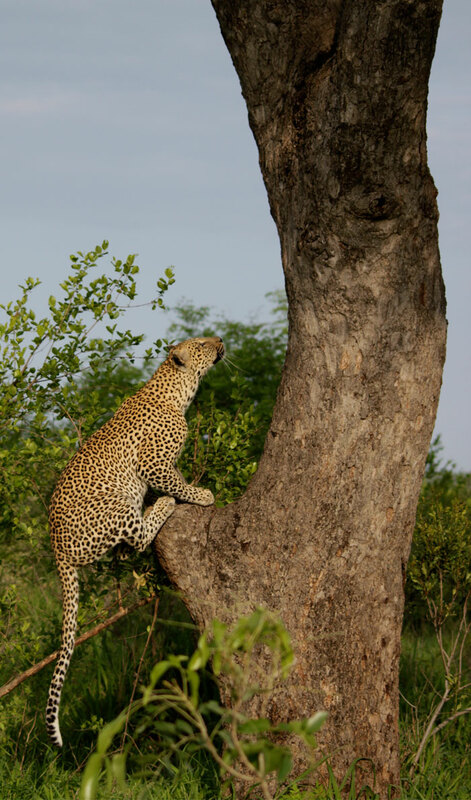 The one thing I love about Leopards is that they can climb trees: and they make it look so easy. 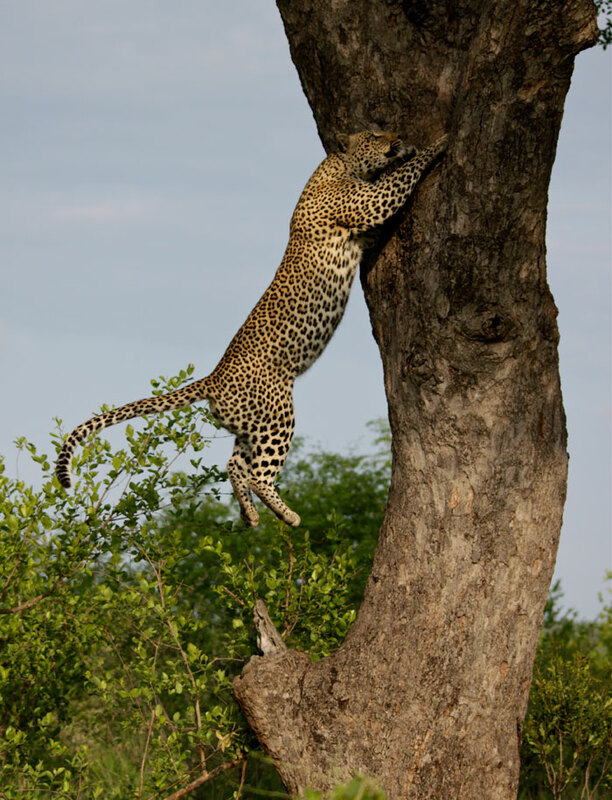 I have always loved to climb but I have certainly never managed the grace and agility of these spotted cats. When I’m up in a tree I feel free and alive but there is always the fear of a bone-crushing fall; always the thought in the back of my mind that I am out of my comfort zone and that I still have a difficult descent! Our human bodies are just not built to climb and be comfortable in the branches; evolution has acted against us on this front as we have moved further and further away from an arboreal lifestyle. Terra firma is where we are most at home. 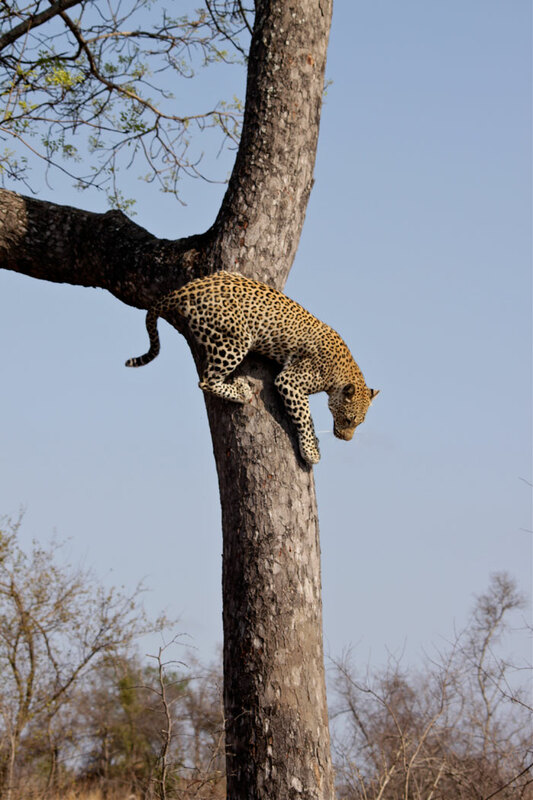 The body structure of a leopard however is built for tree climbing… The back legs of the cat are very powerful and muscular and can propel them into very high places. 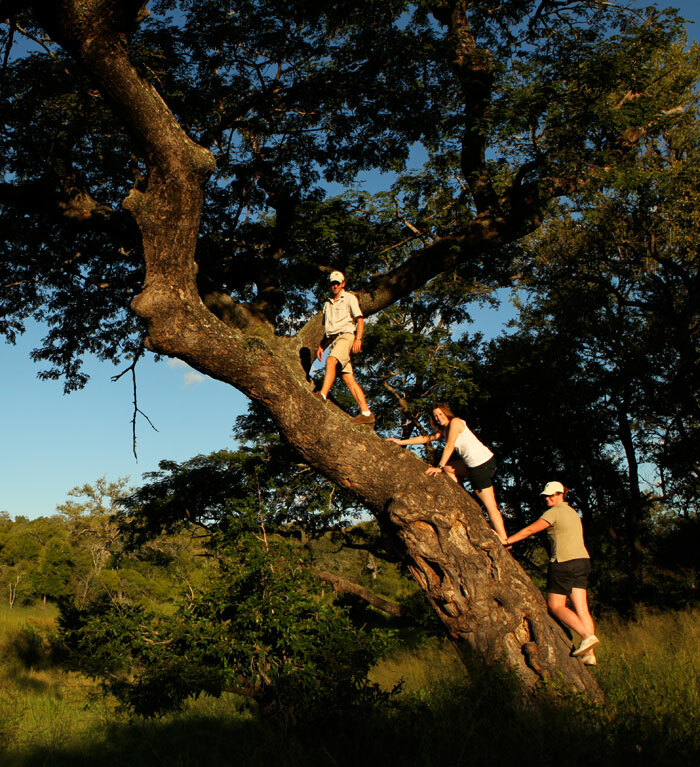 Muscular backs also assist in climbing, allowing them to almost spring into the canopy. The claws are easily unsheathed and dig into the bark, a bit like an athlete uses spikes when running track. 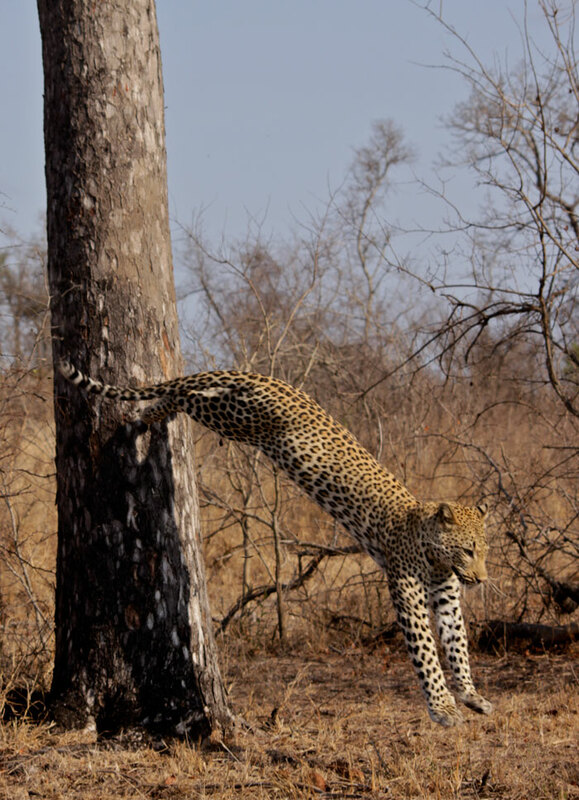 A lower centre of gravity also helps with stability and their relatively small body size and weight enables them to defy gravity, even if only for a couple of split seconds. 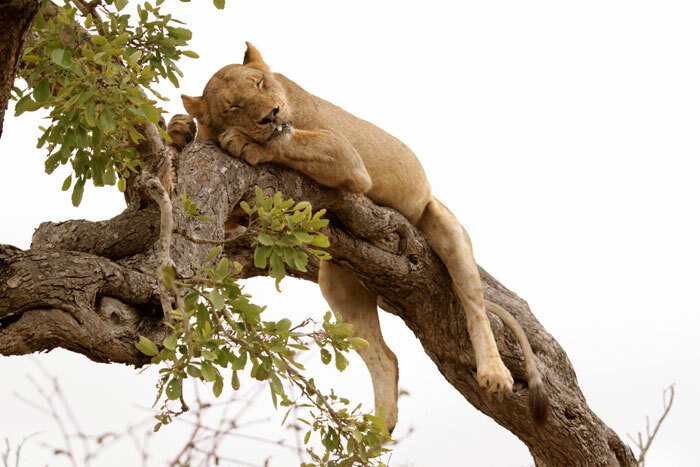 The much larger cat, the Lion, is able to climb trees but it is limited to the lower branches. A Lion is large and bulky; gravity gives these cats a much harder time. 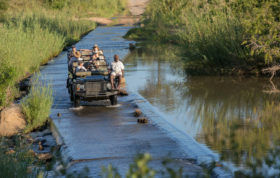 By in large lions prefer to sleep on the ground although a couple of prides throughout Africa have proved that they are fully capable of climbing up. The one animal which has not mastered the tree climb is the hyena. Their body design is built for immense bone crushing power, endurance running and power… its legs are completely inadequate for the branches. Watch the comical video below and you can just imagine the hyena cursing evolution as he watches on as the Camp Pan Male enjoys his two impala kills in the safety of a Jackal berry tree. But even though the hyena can’t climb trees…he does have a trick up his sleeve, a trick which makes for entertaining viewing…enjoy and let me know if you have seen some creative Hyena behaviour! 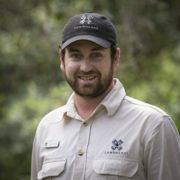 What is the difference between a adult man 30 years old in at 70-75 kilograms and a territorial male leopard such as Short Tail in physical strength? 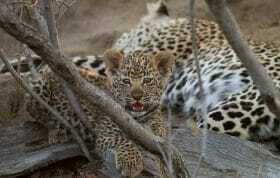 Seeing you every day leopards have you made ​​a pretty good idea? 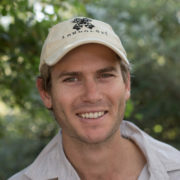 Nicely done Adam – still remembering when you climbed “your” tree with our kids. You made it look easy!